The United States Equestrian Federation (USEF) is pleased to announce Sydney Collier as the 2014 Junior Equestrian of the Year. Seventeen-year-old Collier is a talented Para-Equestrian who competed at the international level in 2014, including the Alltech FEI World Equestrian Games. A native of Ann Arbor, Mich., she was diagnosed at the age of seven with a rare congenital birth defect called Wyburn-Mason Syndrome. In spite of this challenge, Collier pursued her love of riding and has become a top equestrian athlete. A prime example of courage, sportsmanship, and dedication, Collier will be awarded the Ruth O’Keefe Meredith Memorial Trophy as the 2014 Junior Equestrian of the Year. Having her biggest year to date in 2014, Collier earned Champion and Reserve Champion honors in the 1b division of the USEF Para-Equestrian Dressage National Championship, claiming a spot on the U.S. Para-Equestrian Dressage Team for the 2014 Alltech FEI World Equestrian Games (WEG). She then traveled to Normandy, France, to represent her country in the FEI World Para-Dressage Championship, producing solid scores as the youngest competitor in the championship. In addition to her riding accomplishments, Collier received several grants and scholarships this past year, including the Women’s Sports Foundation Travel & Training Grant, the Courtney’s Quest Scholarship, and the Jonathan Wentz Memorial Scholarship. She is an honor student in her senior year at Skyline High School. She spends time as a Volunteer Classroom Aid at the BOCES Salt Point Education Center. Collier also gave several keynote speeches and presentations in 2014, inspiring others with the fact that hard work and determination can help one overcome obstacles. Collier will recieve her award at the the Pegasus Awards Dinner held Friday, January 16, at The Hyatt Regency Lexington in Lexington, Ky., during the 2015 USEF Annual Meeting. The USEF has also announced that Judy Werner will receive the 2014 USEF Lifetime Achievement Award. Werner, of Waterloo, Ill., has played an influential role in the American Saddlebred industry for decades. 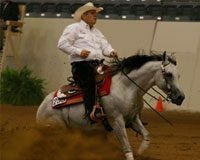 Participating as a competitor, breeder, and leader, Werner has made numerous contributions to the equine industry. For her years of service, Werner has been awarded the 2014 USEF Lifetime Achievement Award and will receive the Jimmy A. Williams Lifetime Achievement Trophy at the Pegasus Awards gala. 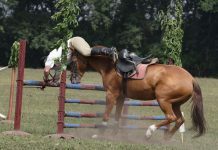 Beginning her riding career at a young age, Werner competed in the Equitation classes, becoming one of the best junior riders on the Missouri show circuit. She continued to compete, having a show career that lasted over 60 years. 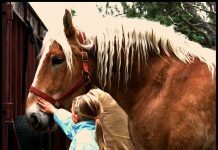 With husband Roy, Werner started a successful American Saddlebred breeding operation out of the family’s Redwing Farm. She was also involved on several boards for horse shows and made history by becoming the first female president of the American Saddlebred Horse Association. Werner received the World’s Championship Horse Show’s Audrey Pugh Gutridge Award in 1993 and the USEF’s Ellen Scripps Davis Memorial Breeders’ Cup in 2002. Additionally, the legendary horsewoman was named to the Kentucky State Fair Society Horse Show Hall of Fame and St. Louis National Hall of Fame. Werner has participated in the governance of equestrian sport with the USEF for several years. The current Vice President of Administration and Finance, she also currently serves on the Ad Hoc Hearing Committee Task Force, American Saddlebred Committee, Breeders’ Committee, Budget & Finance Committee, Compensation & Human Resources Committee, Equine Drugs & Medication, Hearing Committee (Co-Chair), Horse Recording & ID Task Force (Chair), and Legislative Committee (Chair). Werner will recieve her award at the Pegasus Awards Dinner held Friday, January 16, at The Hyatt Regency Lexington in Lexington, Ky., during the 2015 USEF Annual Meeting. For more information on the 2015 USEF Annual Meeting, visit www.usef.org/convention/Default.aspx.